The energy value chain has been in flux for decades, transitioning between integration, disintegration and back again. These fluctuations have been driven by a number of factors — changing commodity prices, a shifting regulatory environment and the impacts of new technology. But over the last several years, the customer is returning to the forefront. Once seen as an operational headache and lower margin than being upstream (i.e. — producing crude oil and generating electrons), retail markets are becoming crucial to the long-term success of energy giants across the energy landscape. 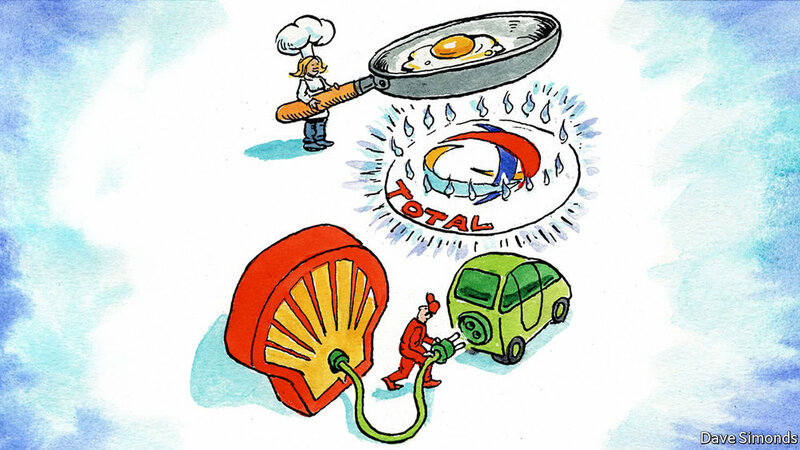 The Economist published a timely article about the interest that the European oil majors are beginning to show in electric utilities. This is being seen by most as a hedge on the electrification of transport, which, despite the recent troubles with Tesla, appears to be an accelerating trend. But It is also a demonstration that oil as a commodity is becoming easier and easier to procure through a number of different sources, including shale in the US. Thus, what was once a great business — drilling for oil — is one facing brutal competition at all levels of the value chain. This is a similar trend we are seeing with power generation. In this market environment, electric utilities can thrive on its monopoly position and low cost of capital. With a guaranteed rate of return and limited market competition, owning wires — once a hassle with low profits — is now a potential cash cow business for companies exposed to changing technology. 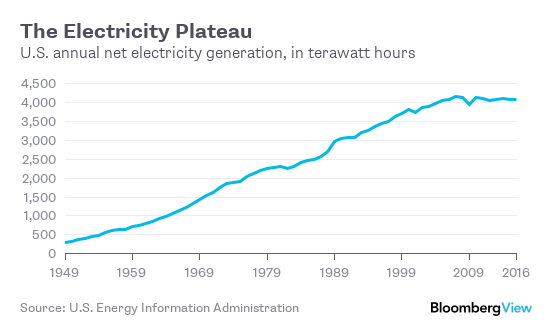 There is one caveat, however: almost every trend line on electricity sold from public utilities in the developed world is flat or declining due to energy efficiency and distributed generation. It is no wonder why the electrification of transport is becoming such a substantive part of Integrated Resource Planning (IRP) by utilities — it is likely the only long-term source of residential power demand growth. How has this affected the average person? Customers have more choices than ever when it comes to how they get and consume their energy. While it varies state to state and country-to-country, the ability to install rooftop solar, smart devices, and residential batteries give homeowners enormous control. In areas where physical distributed energy assets are not economical, de-regulated power markets allow residents to buy power from a number of unique producers or even buy carbon offsets. With few exceptions, these types of programs are increasing in popularity and accelerating in their rollout. The modern utility must be a customer-centric, reliability-focused organization that sees expanding electrification as a strategic imperative. Making and storing electrons is becoming more commoditized, but moving and balancing those electrons can only be done by a monopoly provider. Customer engagement — never a core competency of utilities — is an area where utilities have enormous access and have exploitable legacy positions. Through this model, utilities can thrive and expand their successes in the modern energy economy. Utilities used to call those who bought their electrons “ratepayers” — now they are “customers.” This distinction is more important now than ever.